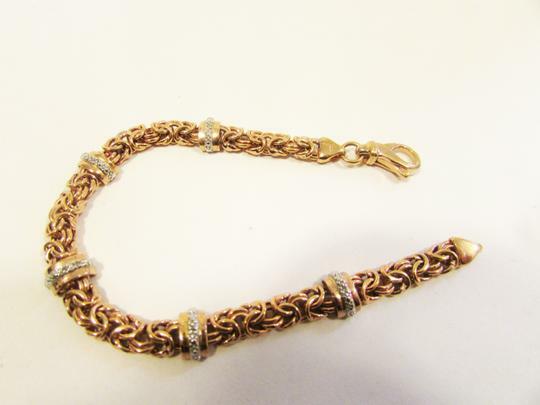 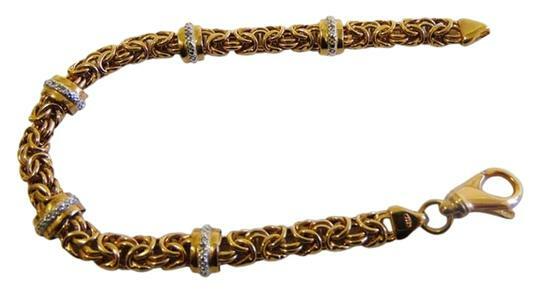 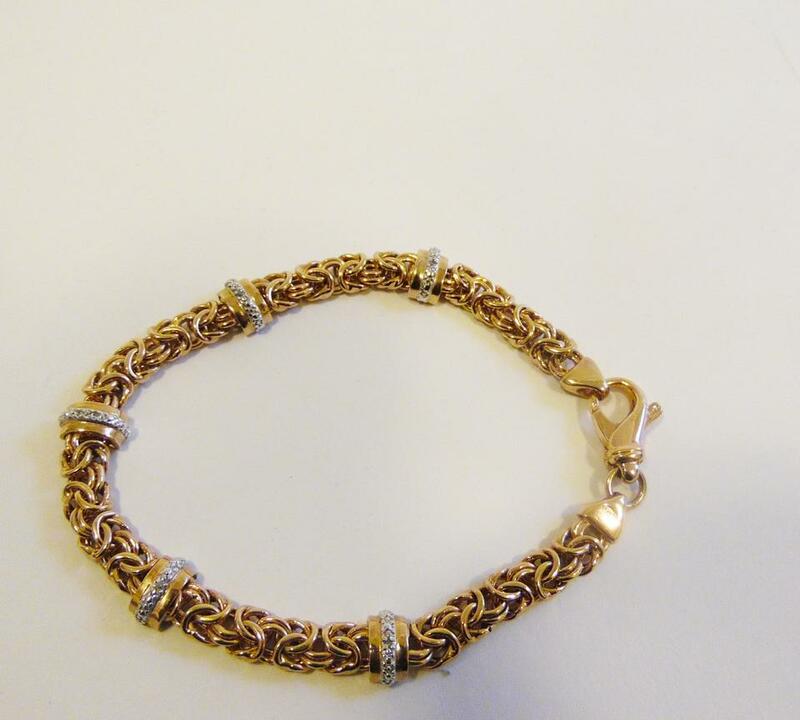 Technibond Rosegold Plated Diamond Accented Byzantine Bracelet. Design Information: Technibond bracelet features 5-stations of pave-set diamond accents across. 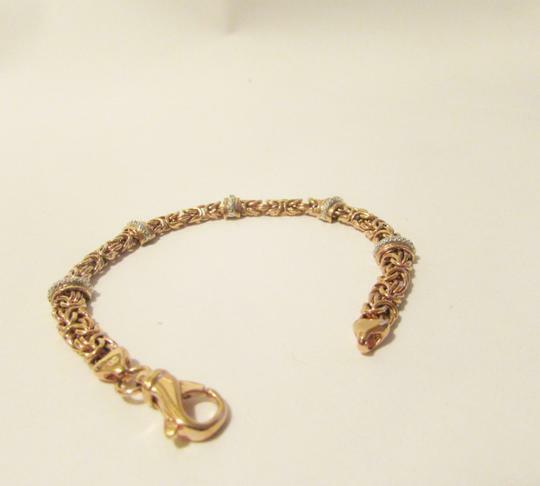 Bracelet Measurements: 8"L x 5/16"W; fits 6 3/4" to 7 1/2" wrist. Metal Type: Technibond; Metal Stamp:.925; Finish: Polished; Findings: Lobster claw clasp. 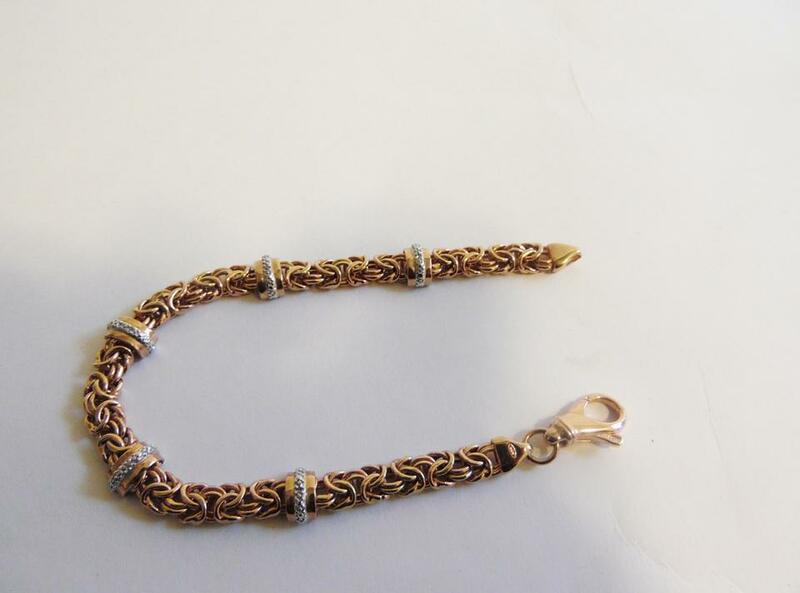 Technibond jewelry is crafted from .925 sterling silver with a 40-mils-thick outside layer of 18K Rosegold for a look of 14K. 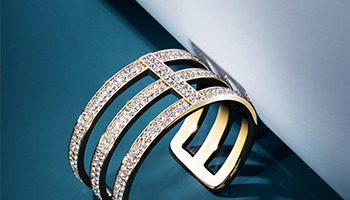 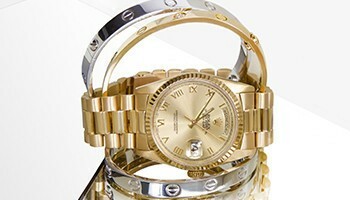 Get the luxurious look of fine gold with a guilt-free price tag. Exculsive to HSN, Technibond provides classic style with its stunning line of jewelry in 40 mils of Rosegold over sterling silver to give you all that elegance of those fine metals you adore.